The Providence Fire Pit Table comes in a spread of base and tabletop combinations, some of which feature a wicker and metal base combination, and different tabletop materials. The Providence Fire Pit Table in Brown features a sleek brown metal base that is the same on all sides, and is topped by a marbleized noche top with a unique marble-style multicolored tone character. The Providence Fire Pit Table sits at a chat height, with a height of 23 inches. The chat height table is ideal for placement with outdoor lounging seating, like deep seating collections, Adirondack chairs, low sitting dining, chat sets and more. The Providence functions as both a tabletop and a central fire pit. 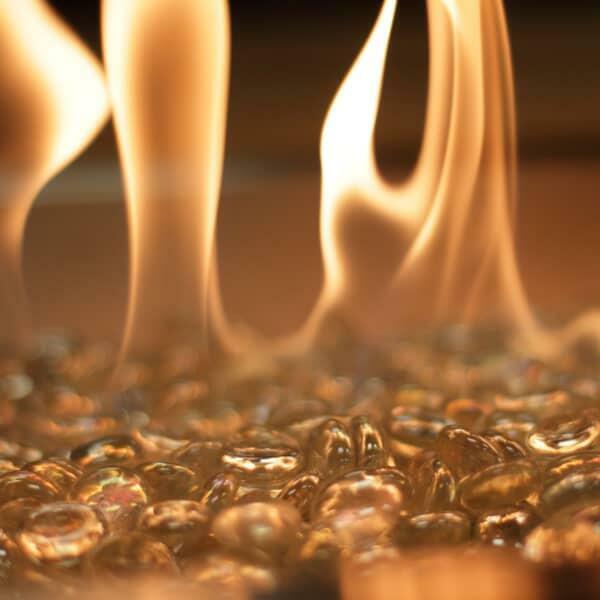 The fire pit runs on either liquid propane, which may be stored in the lower cabinet, or on natural gas. The kit includes all parts necessary to change the gas source from the featured propane setting to natural gas, if you prefer. 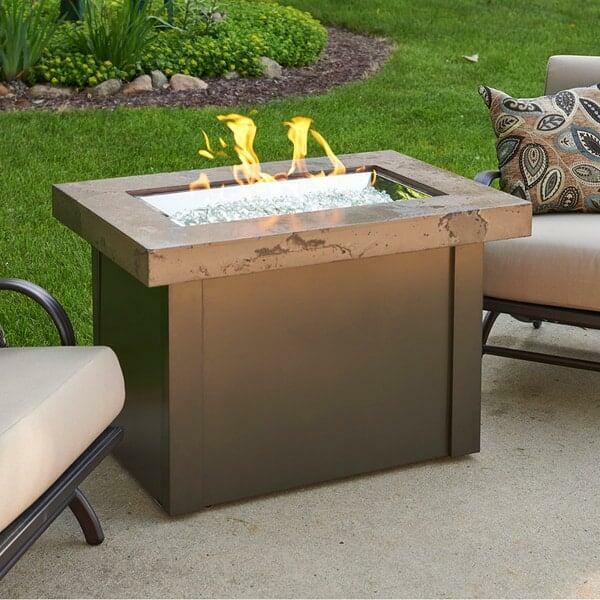 The outdoor fire pit table offers the visual experience and natural heat of a traditional fire pit, but poses none of the hassle: no kindling, or surveillance, or cleanup when you’re ready to go indoors.